Being stopped by the police and receiving a traffic citation can range from annoying and expensive to a serious matter leading to possible imprisonment. Depending on the severity, traffic citations can increase your insurance rates, add points to your license, result in tickets, automatic suspension, loss of license or trigger mandatory jail time. At Cody & Pfursich our attorneys have an intricate knowledge of the vehicle code and a familiarity with the rules and procedures of local police departments and district judges’ offices. 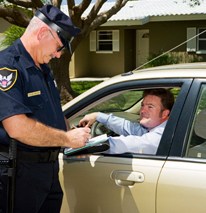 This experience can prove vital in fighting and/or negotiating a traffic ticket. We also understand that hiring an attorney for a minor traffic matter may not be financially feasible. Whether you are charged with a minor speeding infraction punishable by a simple fine, or are accused of driving under suspension and are facing jail time, our attorneys would be happy to meet with you for a free consultation so you can make an informed decision as to how best to proceed.